Scientists involved in the growing ClimateGate scandal were cited in an October climate change report prepared for the White House and Congress. Titled "Our Changing Planet," the 172-page document was created by The U.S. 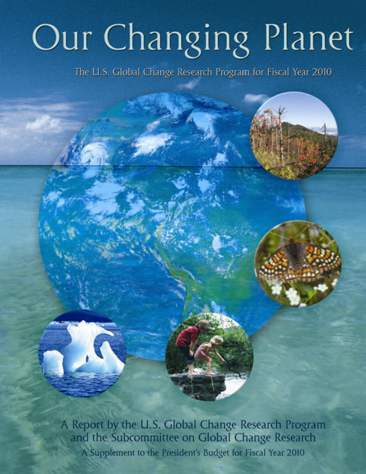 Global Change Research Program along with the Subcommittee on Global Change Research, and was submitted as a supplement to President Obama's fiscal 2010 budget. As such, its contents not only impact future and current legislation involving global warming, but also how tax dollars are spent to research and address it. USGCRP is committed to its mission to facilitate the creation and application of knowledge of the Earth's global environment though research, observations, decision support, and communication. We thank the participating agencies for their close cooperation, and we look forward to working with Congress in the continued development of this important program. To be sure, that papers by these scientists would be cited in such a report is by no means shocking. They have been preparing high-profile documents about global warming for years including for the United Nations' Intergovernmental Panel on Climate Change. In reality, it would have been shocking if this report DIDN'T include them.